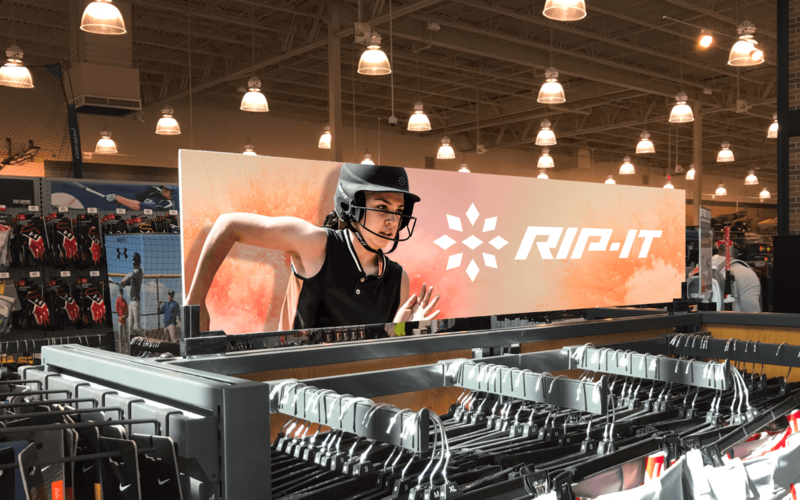 RIP-IT had quietly built its reputation at the independent retail level as a true player in the softball space. It became sought after by big-box sport retailers who wanted to see if it can stand up against established names in the marketplace. 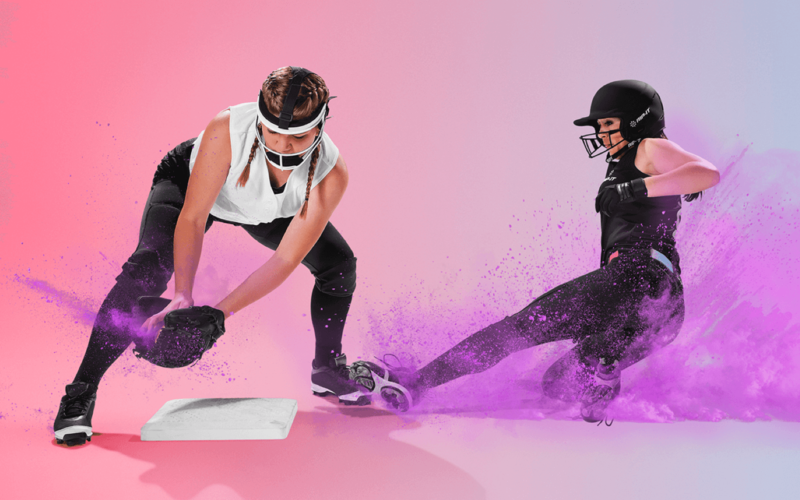 We used ethnographic research and persona development to define a new brand position, including an all-new identity, graphics and brand language showcasing a foundation of confidence born on the field and experienced in softball players’ lives. Tough. Aggressive. Confident. For each position or player, we developed an equally compelling product attribute based on that personality. 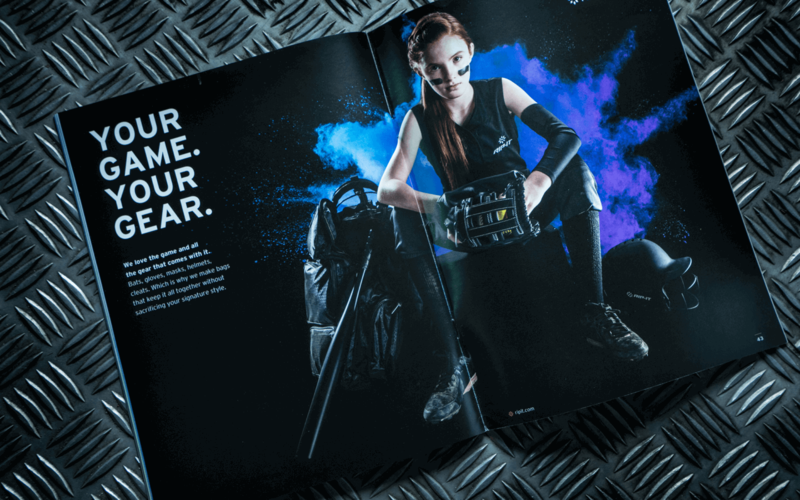 From fielder’s masks to game pants to practice jerseys, every product gave the brand the opportunity to further validate its connection with its audience. From the authenticity of the field to the controlled space of a studio, action and energy had to be at the forefront of the visual language Push created. Using real athletes in order to avoid the plastic-perfect nature of models, we captured the intensity of the game as seen in movements and motion accentuated with brilliant color pops. We know wholesale buyers want to quickly understand the intangibles of the brand while being able to instantly decide the impact of sales for their business. Combining compelling imagery with easy-to-find products, pricing, sizes and data points, we built a catalog that gave them the info they needed at both the brand and business level. Just like the game itself, proof of performance has to happen out in the field. By designing “store-within-a-store” prototypes for the sales team, we enabled the brand to be brought to life in various big box retailers, including everything from “dressing the mannequin” to complete planogram mapping. To better scale the small but quickly growing brand, we are developing both traditional and digital creative and social media assets to tell the brand story. 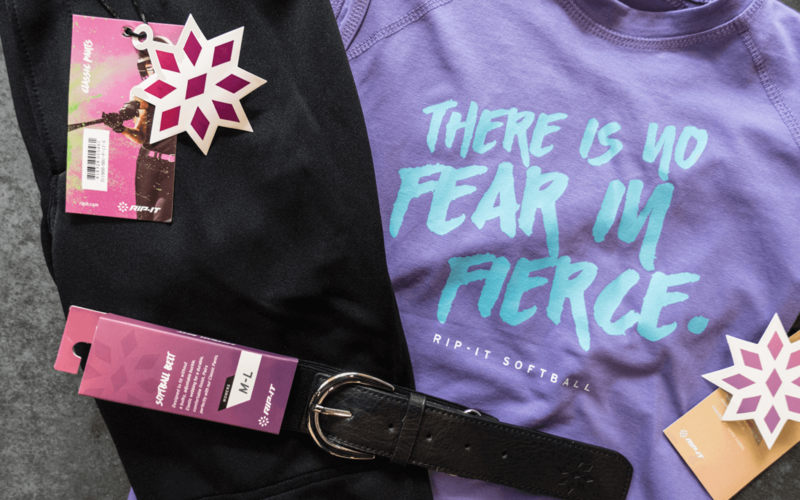 By listening to players during our time spent with them on the field and in their homes and leveraging their insight, we are helping the brand connect to its audience emotionally through strong and compelling messages of encouragement and empowerment. Pants tear. Jerseys wear out. And sometimes stores aren’t open or nearby, and an athlete needs their gear right away. That’s why building a robust eCommerce platform was critical to the success of RIP-IT and its ability to assist players whenever they need gear. From social media review aggregation to team sales to a retail location finder, we built a robust digital platform that meets players, coaches and parents on the field and on their devices.